! Last Show Until Fall ! Max Ochs still teaches conflict resolution to people. He has been running the 333 Coffeehouse in Annapolis for six years, and it is still fun. He also volunteers as a Friend of Quiet Waters, each summer, to host the free concerts in Annapolis' biggest park. Like his hero, Pete Seeger, he loves to get people singing, and he loves to play really old folk blues. Once in a while he still writes a new song. Thomas Vincent was born December 5th, 1953 in New York City. He grew up in northwest Connecticut and graduated high school in 1992, the last year of the draft for the war in Vietnam. Tom's father, a church organist and choral director provided him some early vocal training and exposed him to a lot of really good music. Both mother and father were active in a local summer stock theater where Tom learned much about performing as a profession. Tom started playing guitar at age 14. Early influences were folk heroes such as Tom Paxton, Pete Seeger, and Peter Paul and Mary. After graduating from high school, Tom attended classes at a number of schools in Amherst and Boston where he studied oil painting, acting, guitar, and harmony and composition. In addition Tom began to perform his original songs at coffeehouses around New England. After marrying his wife Catherine in 1977, Tom moved to Seattle where he attended The University of Washington, graduating with a degree in Architecture. For the next several years Tom worked in the field of Architecture in Seattle and here on the East coast. During this time he performed little music. In 1990 Tom left the field of architecture and went back to performing full time. In 1992 He released his first CD of original folk songs entitled Dreaming Again. Two songs from that album were also finalists in that year's Mid Atlantic Song Writing Contest sponsored by the Washington Songwriters Association. His wife Catherine is Outreach Coordinator for the National Aquarium in Baltimore. His son Collin attends Sudbrook Magnet middle school in Baltimore County as a drama major. When not performing or writing music, Tom harbors a secret passion about the game of Golf, for which he offers absolutely no explanation at all. 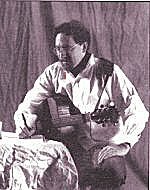 A transplanted New Yorker, Michael Johnathon moved to the small mountain hamlet of Mousie, Kentucky in the early 1980's to learn the craft and experience the lifestyle of being a folksinger. For several years, he roamed the hills and hollers of Appalachia with his guitar and banjo learning from the mountain people. Over the next four years, he put this knowledge to good use in a series of concerts where he sang about saving the environment, about the plight of farm families, about the homeless and about the growing number of battered women and children. 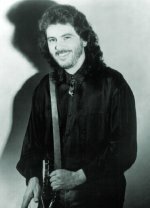 In all, he performed the Earth Concert series to over two million people in one four-year stretch and spent the next five years writing and producing three television documentaries including music videos and touring and performing in two concert series to high school and college students in a seven-state region. All of this activity resulted in Michael being headlined as an "UnSung Hero" by BillBoard Magazine and gave him an opportunity to record his first release, Troubadour. In 1994, Michael recorded his critically acclaimed Dreams of Fire with Grammy winners Joe Bogan, Dave Burgess and Bill Cuomo. In 1995 and 1996, Michael returned to the studio to record Assassins in the Kingdom which included a duet and music video with blues/folk legend Odetta. He hit the road to perform with Judy Collins and to tour as one-third of the Acoustic Rainbow Tour with Billy Dean and David Gates. The New Wood video with Odetta aired nationally on CNN, Headline News, The Nashville Network, TNN and the Bravo Movie Channel. Michael has always believed that folk music is a very unappreciated, misunderstood art form and continues to prove that it is the most exciting, vital and passionate style of music in America. Recently appearing on the Americana charts, was Michael's latest release, WoodSongs. WoodSongs is a combination of traditional songs and original compositions which also features such artists as J. D. Crowe, Jean Ritchie, 14 year-old fiddle sensation Kati Penn, mountain musician Homer Ledford and Ruth McLain. In addition to the CD, Michael wrote WoodSongs: A Folksinger's Social Commentary, Cook Manual & Song Book. During 1997 he completed a promotional tour of over 250 concert halls, venues, coffeehouses and book superstores to publicize the publication of the WoodSongs book and the joint release of the book and CD. 1998 finds Michael recording a new CD called The Road to be released in the fall, continuing his national tour in support of his WoodSongs project and successfully introducing "folk music" and the idea of a "folksinger" to a whole new audience. "To fully appreciate Erin McKeown, you just have to see her as dozens of audiences have... with an irresistible grin and a large guitar that cannot hold back her relentless energy. Her music defies clear categorization... McKeown is a virtual sponge, absorbing and assimilating her influences rather than carelessly leaving them on the surface." The printed word will never quite be able to capture the presence that is Erin McKeown in performance, but Caryn Ganz's description comes pretty close. 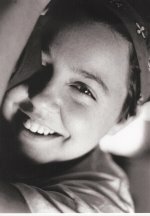 To experience the music of Erin McKeown is to be invited to penetrate her surface and find your own descriptions. Beginning her career as a Semi-Finalist: Modern Rock/ Alternative Category in the 1995 Songwriter's Association of Washington DC's Mid-Atlantic Song Contest, McKeown has steadily evolved into a dynamic performer, an accomplished guitarist, and an innovative songstress (and she's still not finished growing). Using the framework of her own start-up record label, TVP Records of Providence, and a licensing affiliation with Waterbug Records of Chicago, Erin McKeown is rapidly making a name for herself, redefining contemporary folk music- her way. With a raucous blend of emotion, thought, and pure fun, McKeown commands the stage, engaging her audience in a roller-coaster journey of interaction. Supported by powerful lyrics attacking complex subjects, Erin's emotive guitar playing can be fast and intricate or deceptively sparse, even within the same song. "It's all about forging your own style... building your own mold," says the 20-year-old McKeown. "She's going to conquer the world," says Ann Rabson, widely-acknowledged as one of the best boogie-woogie pianists in the country and a member of Alligator Records blues trio Saffire-The Uppity Blues Women. However, before conquering the world, McKeown plans to graduate from Brown University with a degree in Ethnomusicology. In addition to making time for study, McKeown also manages to find herself playing and promoting her self-titled independently released cassette in some of the most well-known acoustic rooms on the East Coast, including Blue Hill, Maine's Left Bank Cafe; Boston's Club Passim; Providence, RI venues Lupo's Heartbreak Hotel, and AS220; New York City's Postcrypt; and on the mainstage at the Virginia Women's Music Festival. She has performed with such diverse acts as Bob Franke, Pamela Means, Rose Polenzani, Jonathan Richman, Saffire- The Uppity Blues Women, Martin Sexton, Jules Shear and Dar Williams. From live radio performances in New England to numerous colleges, whether serenading coffeehouse crowds in her hometown or plugging in her electric guitar to open for a top act in a large club, McKeown's passion for her music is infectious. Come dive deep into her world and experience folk music on the cutting edge. Upcoming Events. . . The summer of 98 finds McKeown making her first trips to North Carolina, Florida, and Chicago as well as her usual East Coast schedule. Festival dates for the summer include the Columbia Folk Festival, Hear in Rhode Island, and a return to the Virginia Women's Music Festival. In October, Erin will open for Dan Bern. September 25 with Bill Parsons, Christina Muir, Barbara Martin, and Randy Barrett. For more information call (540) 898-0611 or send e-mail to Bob Gramann at bobgramann@interserf.net. Want to get e-mail announcements about Fredericksburg Songwriters' Showcase and Bob Gramman's scheduled appearances? Send e-mail to Bob at bobgramann@interserf.net.